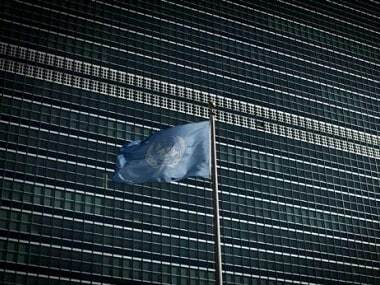 United Nations: The United Nations owes India $38 million, the highest it has to pay to any country, for the peacekeeping operations as of March 2019, UN Secretary General Antonio Guterres has said as he voiced concern over the world body’s deteriorating financial health. In his report on improving the financial situation of the world body, he said, as of 31 March, 2019, the total amount payable to troop- and police-contributing countries with respect to active peacekeeping missions was $265 million. Of this, the UN owes $38 million to India, followed by Rwanda ($31 million), Pakistan ($28 million), Bangladesh ($25 million) and Nepal ($23 million), Guterres said in his report. He said the arrears to troop- and police-contributing (TCCs/PCCs) countries could increase to $588 million by June 2019 “in the worst-case scenario”. The UN chief added that which troop- and police-contributing countries will or will not be paid depends on the cash position of the individual missions to which they contribute and is not determined by their individual capacity to shoulder that unfair burden. “That has created a paradox. The United Nations is now effectively borrowing for prolonged periods from troop- and police-contributing countries. Many of them are low-income countries for which that imposes a significant financial burden. At the same time, the organisation is asking those same countries to do more to train their personnel and improve the quality of their equipment, all while operating in increasingly challenging environments. The United Nations, however, is not fulfilling its obligation towards them in a timely manner,” he said. Guterres further said that troop- and police-contributing countries make every effort to provide well-trained and well-equipped personnel to peacekeeping operations, and they continue to improve on that objective. “Reimbursement by the UN for their contributions is key to supporting those efforts. The delays in reimbursing the contributing countries expose them to financial challenges in pursuit of their efforts and consequently have an adverse impact on the operations and the delivery of their mandates,” he said. Earlier this year, India’s Permanent Representative to the UN Syed Akbaruddin had said that the financial situation of the United Nations peacekeeping, particularly the non-payment/delayed payment of arrears to the troop/police contributing countries, is a “cause for concern”. He had said that the practice of delaying payments to TCCs/PCCs, even as contractual obligations to others are met, cannot continue unaddressed. “It results in TCCs/PCCs bearing unsustainable burdens. In some cases, TCCs and PCCs are owed 100 to 200 times their cumulative annual financial contributions to the UN,” he had said. Guterres said while the UN is working to become more effective, nimble, accountable, transparent and efficient, the success of the organisation’s efforts depends not only on the internal efforts of the Secretariat, but also on the support of Member States and on the predictability and adequacy of their financial contributions to UN programmes and activities. Expressing concern about the organisation’s deteriorating financial health, the UN chief, said the UN is facing deepening liquidity problems in its regular budget, a trend that must be urgently halted and reversed. “Peacekeeping operations also face frequent cash constraints that forced the Organisation to postpone the settlement of its obligations to troop- and police-contributing countries,” he said. The UN had a positive cash balance of $412 million at the end of 2010 but it finished 2018 with a negative cash balance of $323 million: a decrease of $735 million in an eight-year period. Guterres said that regular budget assessments are issued at the beginning of each year and member states are required to pay their contributions in full within 30 days. In 2017 and 2018, 73 member states had paid their contributions in full by the end of the first quarter, compared with 62 in 2016 and 67 in 2015. So far, 74 member states have paid in full in 2019. “Regrettably, some member states pay neither in full nor on time. The level of arrears at the end of 2018 was $529 million, equivalent to more than 21 per cent of that year’s assessments and nearly 150 percent of the liquidity reserves,” he said. The United States is responsible for 22 percent of the $5.4 billion regular budget for 2018 and 2019 and more than 28 percent of the $6.7 billion peacekeeping budget for the year to 30 June. As of the end of the 2017/18 peacekeeping fiscal year, outstanding contributions to peacekeeping operations amounted to almost $2 billion, well above the $1.3 billion unpaid as on 30 June, 2017. “The overall level of unpaid peacekeeping contributions is also affected by the decision of one Member State to contribute at a level approximately 3 per cent below its applicable rate of assessment,” he said. The UN chief requested the General Assembly to increase the Working Capital Fund to $USD 350 million effective 1 July, 2019 and to create a Peacekeeping Working Capital Fund of $250 million and authorise its use to address the liquidity challenges of active peacekeeping operations among ways to help improve the financial situation of the world body and deal with timely payment of dues to troop and police contributing countries.